EA’s Madden franchise isn’t the only (American) football game in town, so this week I’m taking a look at some of the other football titles that had new installments this year. The DDS series is simulation based, meaning it’s about putting the right team together and not about breaking ankles on the field with your stick skills. As such you draft, sign players in free agency, and build your playbook to create a dynasty. 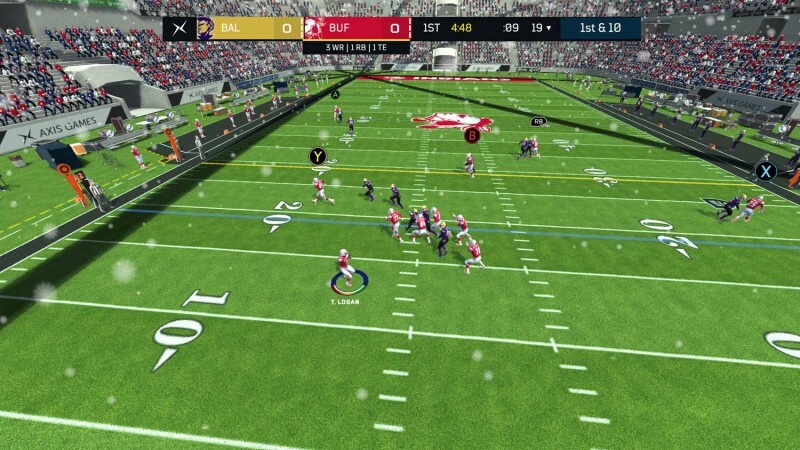 On the field, you call plays and watch them unfold in a top-down perspective. You can also watch replays and whole games (from the same perspective) if you want to study further. Still, I’d like to see the playbooks expanded to include more formations, and on defense in particular, it would be nice to get more information about each play (including which formation your opponent takes the field with per play) so you have a better understanding of the coverages and concepts involved. While the game doesn’t stack up to the complexity of the genre-standard Football Manager series (different sport, I know, but still) and the front office features could use more depth like better contract negotiations/options and player morale/personalities, it fits a simulation bill not served by other football titles out there. Pro Football 2019 also has customization features allowing you to create custom players, set league structure options like the salary cap, and play with others online. 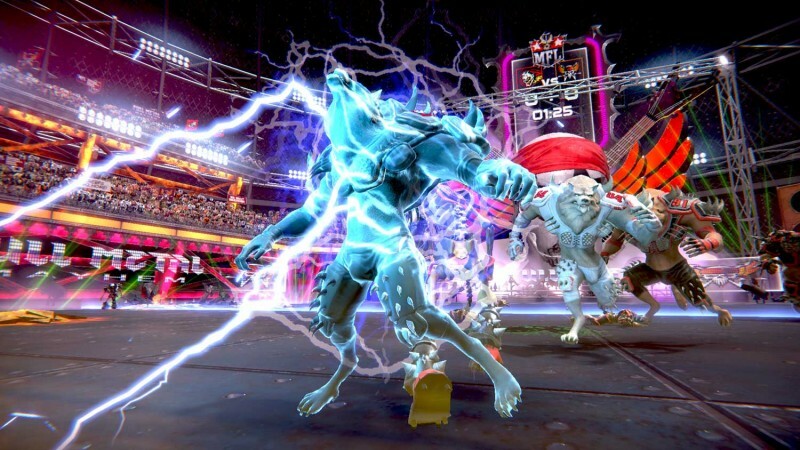 Although the original version of this game came out back in 2017, this fall the Dynasty Edition released adding much-needed depth with more franchise options to go along with the over-the-top on-the-field action. 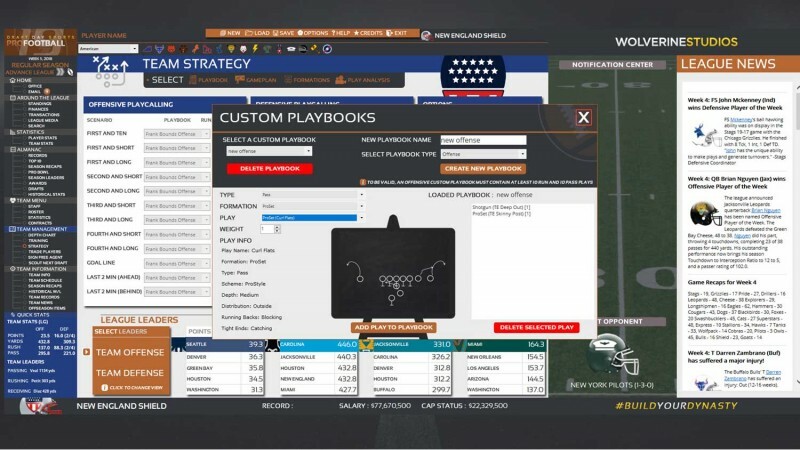 This includes custom playbooks (which shrink if your QB dies! ), an XP system, free agency, and even player arrests. If you’re looking for an arcade-gameplay title that doesn’t take itself too seriously but has some management options, check this one out. Maximum Football 2018 boasts a unique feature – it’s the only title that lets you play football with either pro, college, or Canadian rulesets. While I don’t know a lot about Canadian football, playing the American version quickly shows that this title lacks polish or depth in every department. From animations to A.I., from presentation to management options, the game doesn’t have a lot to offer. 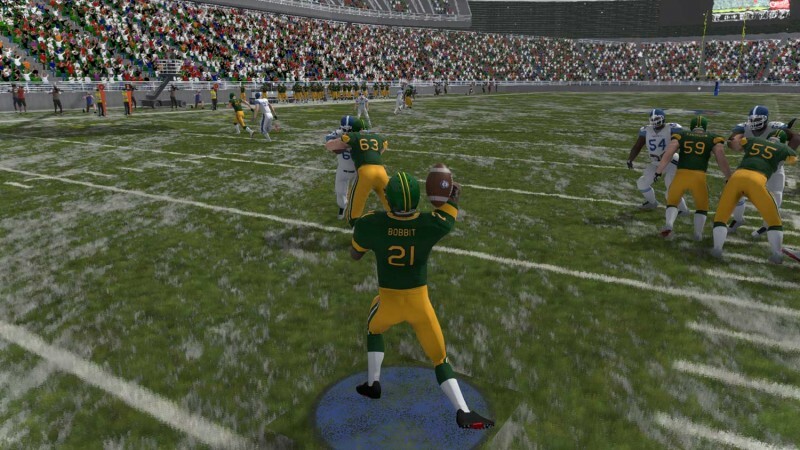 Regardless, developer Canuck Play has signed up Boston College legend, Heisman Trophy winner, and Little Big Man Doug Flutie for next year’s fall title, which will be called Doug Flutie’s Maximum Football. Axis Football 2018 is an interesting title that it doesn’t have a lot of franchise features (no scouting, for instance). The gameplay lacks A.I. and animation polish, but there are some complex options from play to play. Each defender can be set into a hot route to change their individual assignment, and an overarching focus for the play (like boosting your route running or blocking) – can be determined apart from which play you call. Gameplay wise, precision passing lets you control an on-the-field reticle with the right analog stick for aiming your throw, and it’s easy to use. In general, the game runs at a decent clip and running with the ball feels smooth. Axis Football 2018 also lets you use mods and customize teams, players (including their attributes), and uniforms.